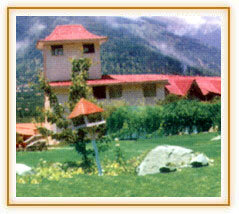 It is nestled among acres of woodland and landscaped gardens, on the Kullu-Manali highway near Manali. An oasis of tranquillity, in a valley that has begun to hum with tourists and activity. 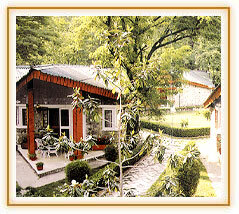 The entire complex of cottage and the main building is designed to bring you close to nature. The river runs right past your door. The trees peer over your shoulders. The flowers invade your room. No sound but the voice of the river disturbs your peace. Accessibility: Airport (Dom. ): 37KM., Airport (Intl. ): 550KM., Bus stand: 15KM., City center: 15KM., Railway station: 300KM. 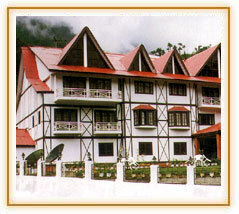 Hotel Manali Ashok offers tourists the comforts of civilisation while exploring the wild mountains around. Manali can be explored by innumerable walks through terraced paddy fields which take the visitor into the world of snow and ice. The most famous is the trek up to the Rohtang Pass (4,000 meters). Accessibility: Airport-Domestic: 52KM., Airport-International: 600KM., Bus -Stand: 1KM., City center: 1KM., Shopping-Center: 1KM. 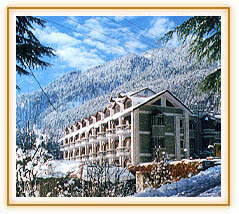 Deep set in idyllic town of Manali stands the elegant Timber Trail, the newest four-star resort. Slightly off the highway, amidst an apple orchard, it is the only resort in Manali where one can witness the falling snow while lazing in the swimming pool. Accessibility: Bhuntar Airport: 50KM., Kalka Railway Station: 275KM. After settling into the luxury of your room in Vacres Manali Resort, you sleep and wake to the sounds of the river. Manali Resort has a spacious and comfortable lobby with great views. 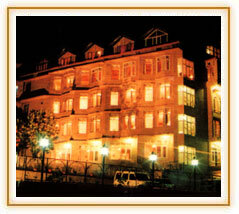 This deluxe hotel is located 5 kms before the Manali Mall. 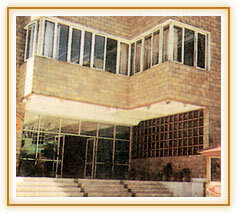 Piccadily Hotel is located a few yards away from the centre of Manali. It is provides modern amenities in a friendly and homely atmosphere to guests. Accessibility: Airport: 40KM., Bus Station: 0.4KM. Situated in the hill state of Himachal Pradesh in northern India, Manali is a picture perfect mountain resort. Covered with pinewoods and apple orchards, Manali has been attracting adventure and nature lovers from all over the world. The Holiday Inn Manali overlooks a fertile valley covered with gently terraced paddy fields. The majestic snow clad peaks of the Himalayan range provides a breathtaking backdrop. Accessibility: Airport: 55KM., Bus Station: 2KM. Located on the left bank of the Beas River at an elevated estate. Six acres of gardens have been landscaped at different levels to offer guests a feeling of tranquillity to sit and stroll at leisure. With its rich interiors, luxurious furnishings, imported wooden flooring, balconies facing the valley and snow clad mountains, it is the ultimate paradise for honeymooners and nature lovers. Accessibility: Airport: 52KM., Bus Station: 1.5KM., Railway Station: 210KM. 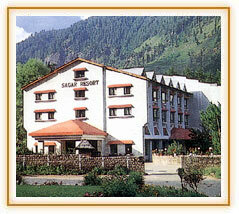 Sagar Resort, a part of Manali can ensure you the extreme comfort of your choice. A resort which is built amidst the plendour of Manali, which carries some of the most breathtaking views of the valley, located in the serene surroundings of Manali, just a kilometer from the Mall. It provides you with the best comfort possible. Accessibility: Airport (Dom. ): 50KM., Airport (Intl. ): 550KM., Bus stand: 0.5KM., Railway station: 280KM. Trek to Rohtang Pass (3980 mtrs. ), just over 50 kms away, where you can find snow all year round! Or go White-water Rafting on the river Beas at Manali. There's also the Hadimba Devi temple, while avid skiers can speed down the slopes of Solang Valley (2480 mtrs)! And much more. Accessibility: Airport: 52KM., Bus Stand: 1KM., Mall Road: 1KM., Railway Station: 320KM. The Manali Inn, Manali's city resort hotel located on the banks of River Beas offers not only accommodation and facilities of unsurpassed luxury but also an unparalled panoramic view of River Beas, a water fall and splendour of snow crest mountain. Accessibility: Airport (Dom. ): 47KM., Airport (Intl. ): 550KM., Bus stand: 2KM., City centre: 2KM., Railway station: 240KM., Shopping centre: 2KM. 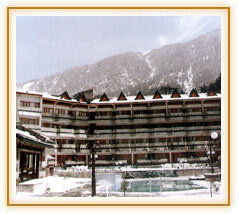 Banon Resort is one of the most conveniently located resort in Manali. All local sight-seeing spots are within walking distance - Beas river is a short walk through the reserved forest towards the east, Hadimba Temple to the west, old Manali village and club house to the north and the mall and Tibetan monasteries to the south. Located in it's heart near circuit house, just a walking distance from city tourist office. This Hotel is well equipped to keep you in full comfort. Traditional Indian elements have been beautifully blended with modern facilities to give you a very unique Indian experience. Accessibility: Airport: 50KM., Bus Station: 1KM., Railway Station: 300KM. 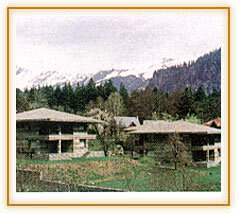 Shingar Regency Manali is just next to Manali's landmark-the famous Hadimba temple. This means that we are within comfortable distance of the town all major places of interest. It is a deluxe hotel of Exceptional architecture, decor and service. Be it a family longing for a holiday or a couple on honeymoon, tourists on thrilling adventures or a Business delegation for a conference, the dream palace Shingar Regency becomes the ultimate choice. Accessibility: Airport Domestic: 50KM., City Center: 1KM. Just a kilometre and a half from town ( Bus Stand) the resort, in this "Valley of Gods" commands a fabulous apple orchard with an open air Bar be-Cue. The gardens, at 3 levels, offer an excellent view of the snows, the wide valley, deodar woods and open vistas for leisure walks. The cottage offers luxury in an atmosphere of pollution free world in western Himalaya. Homely & relaxing while away from home. Accessibility: Airport: 42KM., Bus Station: 2KM. A delightful holiday destinations for a lifetime of great vacations. Vacation Timeshare is all about comfortable living, great service and fun filled activities. Accessibility: Airport: 45KM., Bus Station: 5KM., Railway Station: 300KM. Nestled in serene surroundings of apple orchards, gardling streams and deodar trees, Manali Heights is situated in the prime log hut area, 1 km from Manali Town. 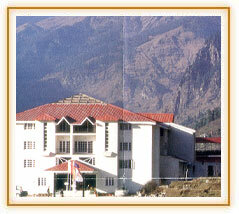 Out Town Hotel is situated on hill terrains, 50 kms from Rohtang Pass, 52 Kms from Airport and 2 Kms from Bus stand. Accessibility: Airport: 50KM., Bus Station: 1KM., Railway Station: 200KM. Enhancing the beauty of this scenic land of snow clad mountains, thick pine forests, fruits ladden trees and a rich culture is Hotel Chandarmukhi, Which is beautiful located facing the majestic Himalaya, surrounded by apple orchards and green fields. And melodious river Beas flows just neaby. Accessibility: Dharamshala: 270KM., Shimla: 275KM. Nestled in mother's nature lap, Hotel Snow Princess is the perfect abode for you. Situated Amidst the rustic surroundings. Hotel Snow Princess is equipped with all modern four star facilities, just a kilometer before the Mall facing thre mighty river Beas. Accessibility: Airport: 50KM., Bus Stand: 2.5KM. Surrounded by apple orchards and verdent woods, it gives you truly the welcome break you deserve. At The Conifer in Manali, we cater to your every whim, indulge your every fancy and pamper you like nobody does. The resort also has three suites called 'Royale' for those who want to soak in the luxury. Accessibility: Airport: 50KM., Bus Station: 1KM., Railway Station: 350KM. The Resort is beautifully located on the way to Hadimba Devi temple surrounded by apple orchards & green fields facing the majestic Himalaya. Simplicity being the hallmark of the interiors. You can enjoy complete privecy in the comfotable homely atmosphere. Accessibility: Airport: 50KM., Bus Stand: 6KM., Dharmashala: 200KM.